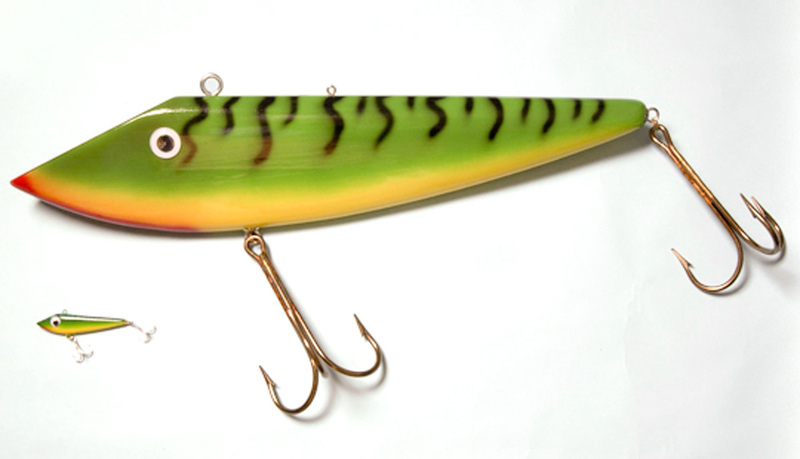 Handmade Surface Popper Lure sculpture by Ken Picou. 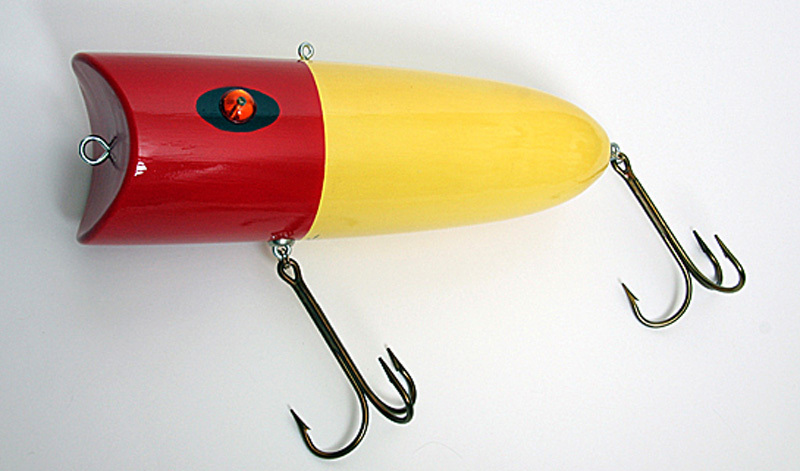 This is probably the bass lure that you used when grandpa took you fishing. 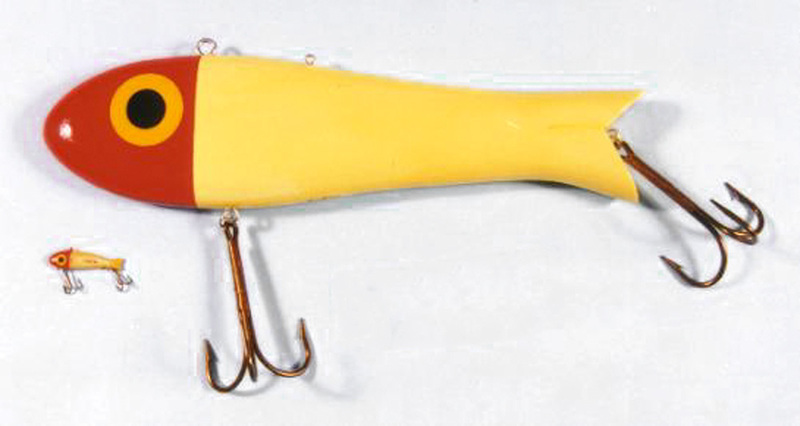 This popper has been used from at least the 1930’s through the present day and is recognizable to a everyone who fishes. Based on the old Heddon Baby Lucky 13. 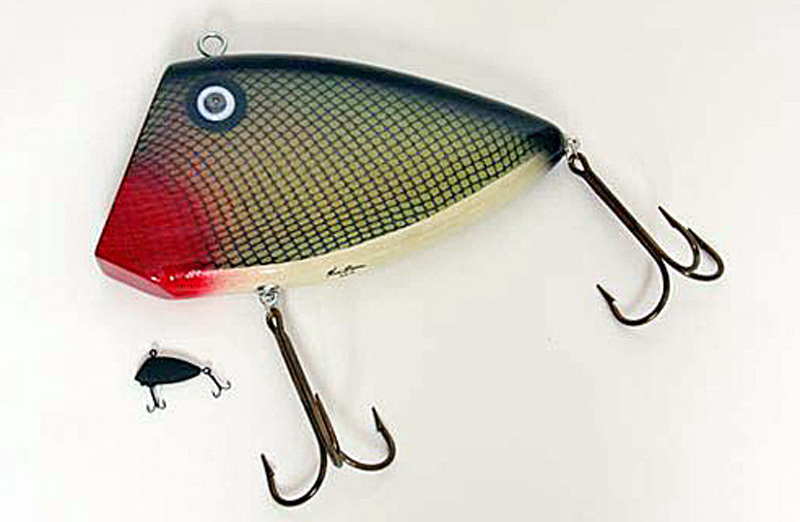 A great lure if you are trying to achieve an ‘old-timey’ look.